The greatest ever number of European citizens have come together across Europe in one weekend to celebrate the 60th anniversary of the Treaty of Rome and mark their support for the future of the European Union. The Unite for Europe march tomorrow in London is on! The European Movement amongst others raised legitimate concerns yesterday about the advisability of holding the Unite for Europe March after Wednesday’s terrorist attack, but we wish to confirm that the organisers have decided that the march should proceed. We encourage any member who participates in the march to join in homage to the dead and injured from the Westminster outrage – and recall that the EU is united in its commitment to stand against terrorism. 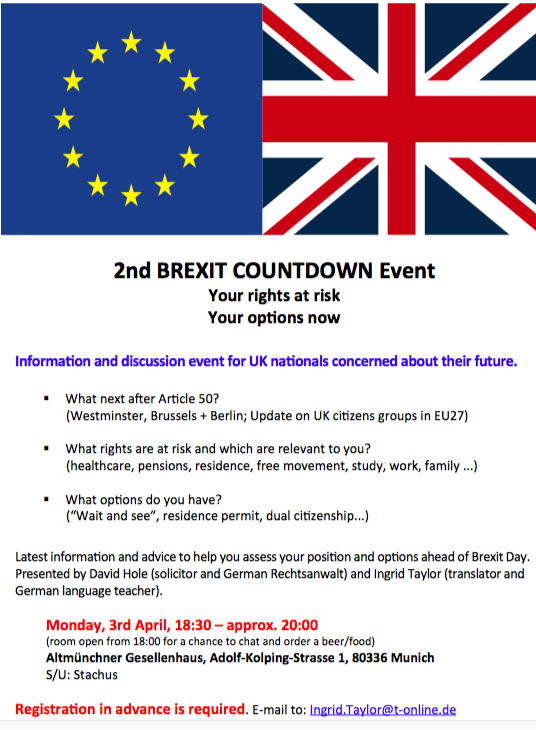 5 representatives of the citizen organisations British in Europe and the 3million group have been invited on 28 March by chief EU Brexit negotiator Michel Barnier for informal discussions before Article 50 is triggered by the British Government. 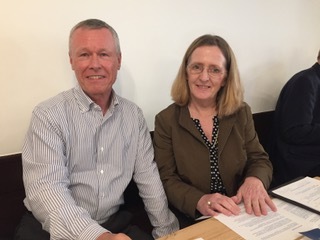 The meeting will take place in Brussels on 28th March and updates from the meeting will follow..
Lisa, 44 years old, is a consultant in Mijas, advising new British expatriates on the best ways to make a life and living in Spain. She works in an office in her garden from where she can watch her children play. Kathryn, 66 years of age, plays the fairy in the Venice pantomime that is put on every two years. She spends her winters in Venice and her summers in Yorkshire. She likes the anonymity that living in a different country brings. Lindsey, 38 years old, is a self employed businesswoman, running her own events company in Venice. She met an Italian gentleman whilst working as a travel rep and he asked her to stay. She struggles with the local Italian bureaucracy but now cannot imagine living anywhere else. Jack, a 58 years old British winemaker, bought a vineyard with his wife in Andillac, France to escape a busy life in the city of London. He has weekly French lessons and is falling in love with the French countryside. James, 31 years old, moved to Lund in Sweden to study dung beetles for his post doctoral research. This is the first time James has lived abroad. While he’s very proud of his dung beetle research, he says it takes a while to get used to the new language and cultural changes.